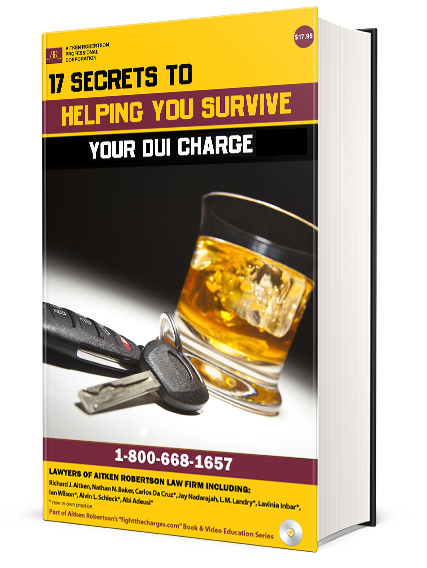 If you have been charged with a DUI or traffic violation in Ontario, please fill out the form below to request your free PDF copy of our new book, 17 Secrets to Helping You Survive Your DUI Charge. If you would like a paperback copy of the book, please let us know in the comments section. During our phone consult, we will verify your address and phone number, then mail it to you. Please note: We only offer consultations and send paperback books to Ontario residents. Note: We only represent clients in Ontario and can only offer consultations and paperback books to Ontario residents.